*According to the UAA Bylaws, membership shall be approved by the Board of Trustees upon a recommendation of any officer, member, or the Executive Director. Membership categories will be Institutional, High School, Corporate, Professional, Associate, Student, Honorary, and Fellow. 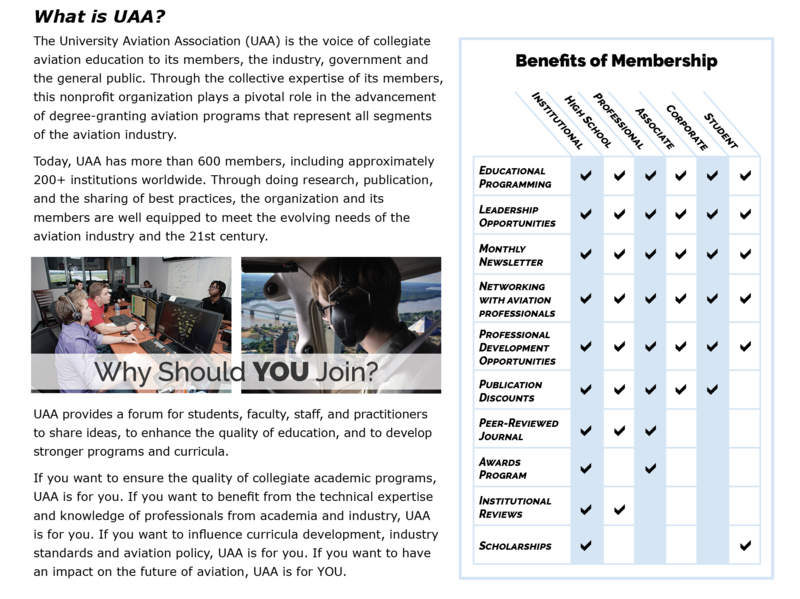 Copyright © 2019, University Aviation Association. All Rights Reserved.